The remote and rural areas of Acadiana are home to the most authentic Mardi Gras celebrations. 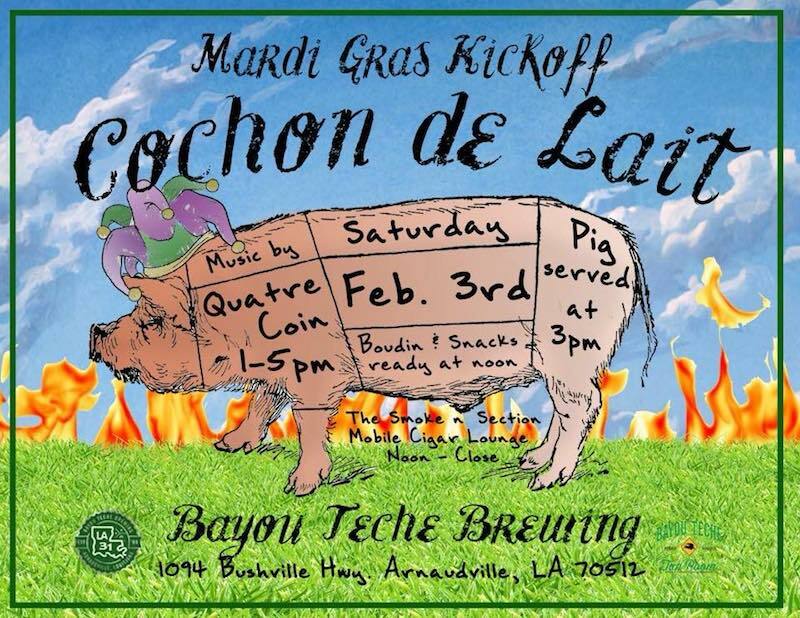 This year, Bayou Teche Brewing in Arnaudville, Louisiana will kick off Mardi Gras season this Saturday with a new take on an old tradition: the Cochon de Lait. The celebration on the Teche, however, will include a few surprises. Bayou Teche Brewing President Karlos Knott, 52, grew up with grandparents who lived in the country, where it wasn’t uncommon for Cajuns to cook an entire pig for a group of people at a social gathering. “Cochons and boucheries were part of that lifestyle. They didn’t do it for fun; they did it because they had to. Those kind of traditions didn’t live on in other places. Here, we’re keeping the tradition going. The resurgence of interest and preservation in the culture has garnered interested from younger generations, such as members of Quatre Coin, a college of young Cajun musicians who will perform all day of the cochon along the bayou. 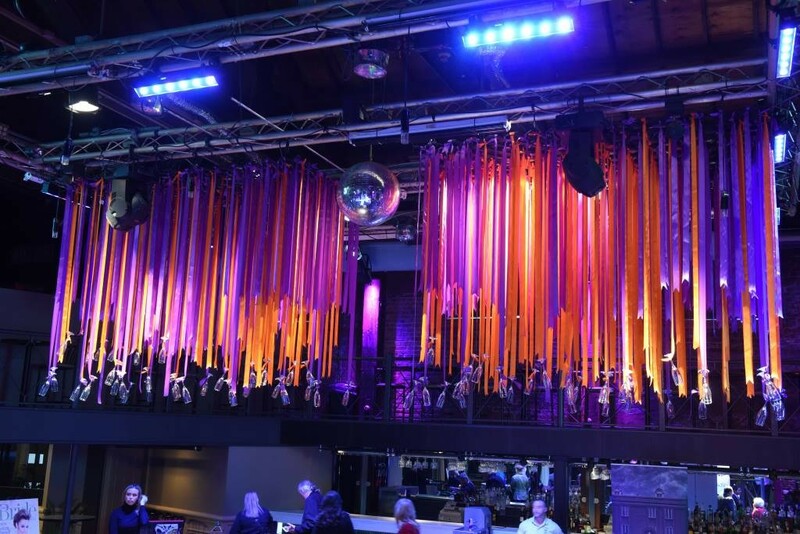 In addition to the band, the cochon will include music trivia that spans 50 years of music, a competition in which participants must identify a song based on a few seconds of hearing it. Winners will receive plenty of LA-31 beer. Smoke n’ Section, a mobile cigar lounge inside a vintage 1972 Airstream, will sell cigars people can enjoy inside of the Airstream, and Arts coffee will be on site. Providing a fresh take on an old ceremony comes easily for Knott, whose Arnaudville roots reach all the way to 1780. After stints of living elsewhere, he and his family members all “boomeranged” back home. Fore more information on the brewery’s beer and events, check out BayouTecheBrewing.com or visit its Facebook page.